Click HERE to register for the Symposium! This will earn you 6 CEUs with 4.5 additional CEUs pending. It is open to everyone, not just Emerging Professionals. Students can attend at a discounted rate of $45. The AIA Gulf States Regional Council represents five states in a very diverse region, geographically spread over 248,000 square miles. The Architect As [______] Symposium will bring students, associates, and young professional architects together for a three-day seminar series and design conference in Fayetteville, Arkansas on the campus of the Fay Jones School of Architecture + Design at the University of Arkansas. 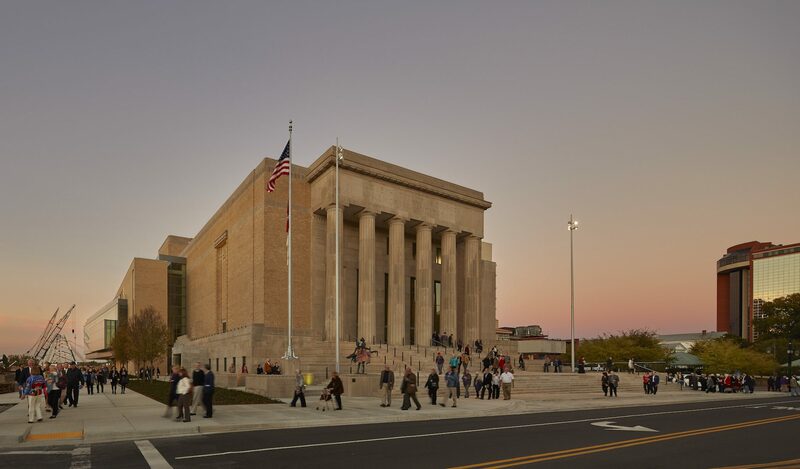 The symposium will use the backdrop of the northwest Arkansas region to investigate the impact of design upon communities. Renown for the architecture of Fay Jones, northwest Arkansas has experienced an architectural resurgence in recent years with the completion of the Crystal Bridges Museum, designed by AIA Gold Medalist Moshe Safdie with private investments from the Walton Family Foundation through their newly-launched Design Excellence Program. The symposium will provide an unique opportunity to visit this remote, but rapidly growing area and investigate the many roles that architects fill in a community. 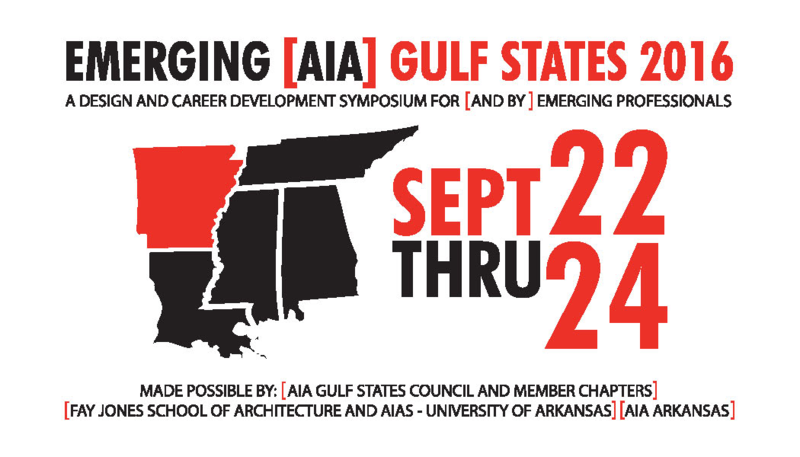 The Architect As [______] Symposium design conference represents an opportunity for students, associates, and young professional architects of Alabama, Arkansas, Louisiana, Mississippi and Tennessee to come together to interact and learn from each other and to learn about resources the available to them in the region. Conversely, it provides a chance to highlight the contributions made by Emerging Professionals throughout the region, and demonstrate the ability to cooperate across state lines.